The relationship with man and dog started in thousands of years ago. In ancient times dog helped to hunt wild animals, not only that but he protected the family. Hunting is in dog genes. We all know most the dogs like outdoor. So hunting is their passion. Among all dog breeds, these ten dog breeds are in the Top of the list. Labrador retriever is a gun dog type breed. They originated in the United Kingdom and Canada. Labradors are commonly called as Lab. The average lifespan of this dog is ranged in between 12 – 13 years. They are prized as hunting dog breeds. Labradors show intelligent, kind, pleasant, outgoing and tractable nature. The police force, Navy and Military force used Labradors to catch terrorists, smugglers, and thieves as detecting dogs. They are powerful swimmers and can bare cold nature in the water. The pointer is a medium to large sized dog breed. They originated in England. 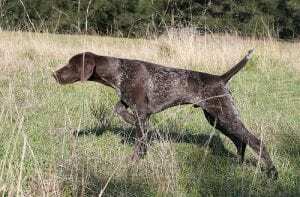 Pointers are commonly called an English pointer. The average lifespan of this dog is ranged in between 12 – 13 years. Pointers are intelligent, even-tempered, friendly, affectionate and loyal dog breeds. They are generally family dogs who show a friendly manner to the children. 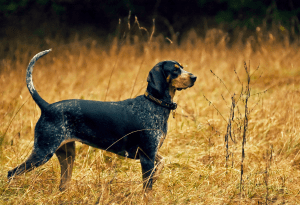 Pointers are required a great exercise to act as a hunting dog. They show three skills while hinting including point, Honor and Retrieve. It means they are point out the location. Then pointers are quickly stopped within a few steps, and after that, they find dead or wound game. Then Pointer is on Top 10 Hunting Dog Breeds list. 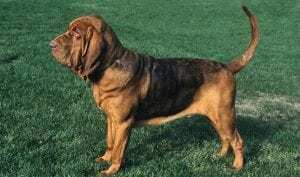 Bloodhound is a large scent hound dog type breed. They originated in the United Kingdom, Belgium, and France. Bloodhounds are commonly called as St. Hubert hound and Chien de Saint – Hubert. The average lifespan of this dog is ranged in between 7 – 8 years. Bloodhounds are generally intelligent, obedient, gentle, and affectionate and even-tempered nature. They are excellent family pets, but they required well train while they moved with small children. Then Bloodhound is on Top 10 Hunting Dog Breeds list. Coonhound is a member of the hound group. It is a type of scent hound. They are mostly found in the United States. Coonhounds are extremely popular for fox hunting. A coonhound will bark and until the hunters arrive keep its prey treed. They can hunt individually or as a gang. If Coonhounds appropriately trained, they are excellent at handling all manner of prey. Then Coonhound is on Top 10 Hunting Dog Breeds list. Beagle is a small sized dog type breed. They originated in England. Beagles are commonly called English Beagle. The average lifespan of this dog is ranged in between 12 – 15 years. They have similar features as large foxhound. They used for hunting rare. Beagles are intelligent, even-tempered, gentle and friendly dog breeds. They are popular family dog breeds who can move with the children well. Regular exercises are required for the maintenance of the breed. Beagles are used as detectors, therapy and search and rescue dogs. 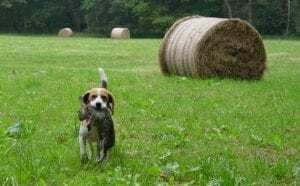 Then Beagle is on Top 10 Hunting Dog Breeds list. 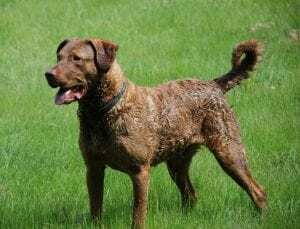 Chesapeake Bay retriever is a large sized dog type breed. They originated in the United States of America. 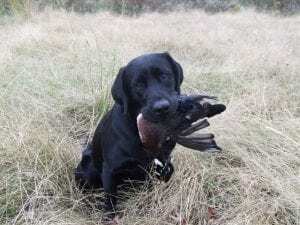 Chesapeake Bay retrievers are commonly called Chessie and CBR. The average lifespan of this dog is ranged in between 10 – 13 years. They are well known as family pets and hunting companions. In the past, these CBR is used to retrieve waterfowl by area market hunters. They are water-loving breeds. 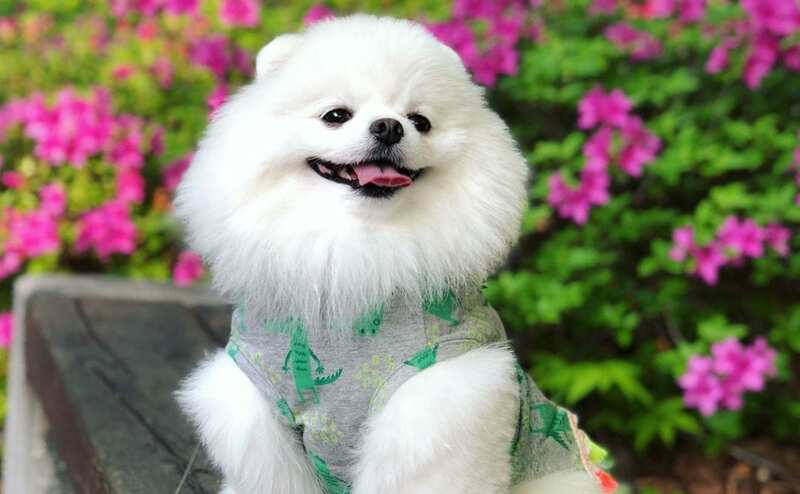 They are intelligent, affectionate, protective, friendly, quite good sense and obedient dog breeds. The Chesapeake Bay Retriever is on Top 10 Hunting Dog Breeds list. Dachshund is a standard sized dog type breed. They originated in Germany. Dachshunds are commonly called Teckel and Dackel. The average lifespan of this dog is ranged in between 12 – 13 years. They are bred to hunt small prey like rabbits. Dachshunds are intelligent, smart, lively, courageous, playful and stubborn dog breeds. Generally, they are aggressive to other dogs and strangers. They are suitable for small children. They show great loyalty to the family. 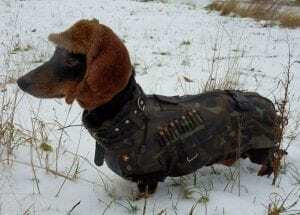 Then Dachshund is on Top 10 Hunting Dog Breeds list. English setter is a medium-sized dog type breed. They originated in England. 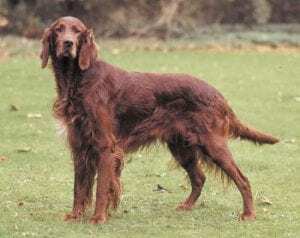 English setters are commonly called Laverack, Llewellin setter, and Lawerack. The average lifespan of this dog is ranged in between 11 – 12 years. They are gun dog breeds. English setter is used to hunt for the game like pheasant, grouse, and quail. 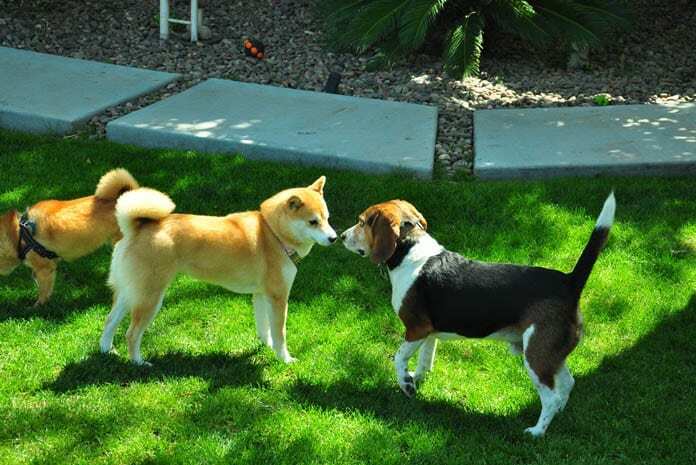 They are intelligent, gentle, mischievous, obedient, strong-willed and active dog breeds. They are famous family dogs who show friendly nature to children. English setter requires sufficient exercise for better health. They are hunt by ranging over a distance methodically, silently seeking game by scent. Then English Setter is on Top 10 Hunting Dog Breeds list. Fox terrier is a small sized dog type breed. They originated in the United Kingdom. Fox terriers are commonly called Smooth Fox terrier and Wire Fox terrier. The average lifespan of this dog is ranged in between 12 – 15 years. The significant difference between smooth and wire Fox terrier is in the markings and the coat. They are intelligent hunting dog breeds. 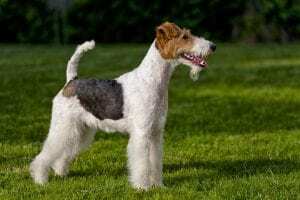 Then Fox Terrier is on Top 10 Hunting Dog Breeds list. Spanish Waterdog is a small sized dog type breed. They originated in Andalusia Spain. 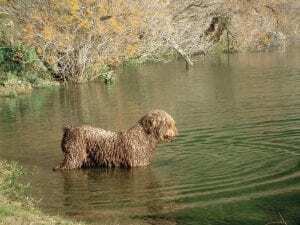 Spain Water dogs are commonly called Perro de Agua Espanol. The average lifespan of this dog is ranged in between 12 – 14 years. They are guard dog breeds and also sometimes used as gundogs. Spanish Water dogs are intelligent, loyal, affectionate, friendly and diligent breeds. They are family dogs who can move with small children well. They need a minimum of grooming. The Spanish Water Dog is on Top 10 Hunting Dog Breeds list.